The official H1N1 death toll in China’s northwestern province of Jilin was two as of Nov. 15, according to the province’s Health Bureau. The real death toll far exceeds that number, according to information from staff workers at the local Center for Disease Control and Prevention (CDC). “As far as we are concerned, the statistics of H1N1 infection are a secret. We have an obligation to keep it secret. We cannot even tell our parents about it,” said the staff worker, who is based at the CDC in Jilin Province’s Changchun City. The staff worker further explained that, "Hospitals only test for H1N1 on critically ill patients to monitor changes in the H1N1 virus. Routine testing for H1N1 on less severely ill patients is almost non-existent: Most cases were just treated like ordinary flu, as required by the government. When there is a cluster infection, tests are only run on a few patients, and we don’t do it based on individual requests." This staff member’s information corroborates evidence given to The Epoch Times by another CDC staff member a few days ago—that many students have recently contracted the H1N1 virus. Many schools were shut down because of the disease at the time, although some chose not to report the situation, and thus the CDC does not know the exact figure. 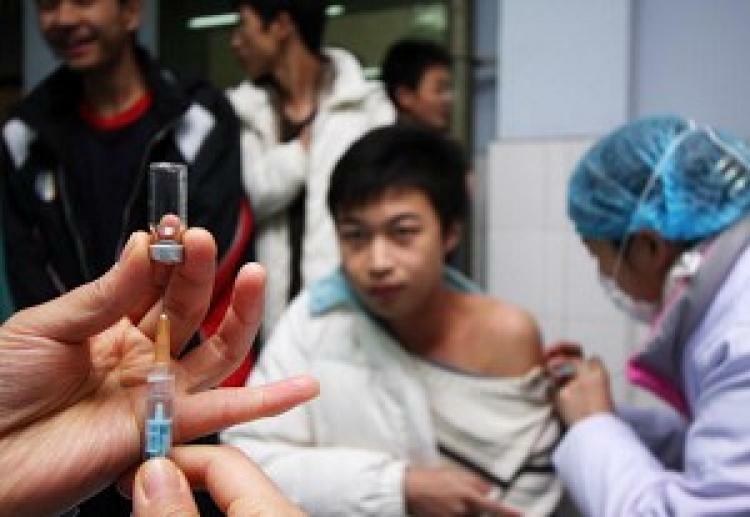 An official from the Jilin Province Health Bureau, when contacted by The Epoch Times, said that patients now have to spend their own money to be treated for the H1N1 infection, as the regime has stopped providing coverage since August or September. He refused to comment further. Zhong Nansha, an academic of the Chinese Academy of Engineering and a noted Chinese medical expert expressed his doubt of the official estimate of the H1N1 death toll in a report published by Guangzhou Daily on Nov. 19. A Chinese blogger posted an article on China’s famous Baidu Tieba (the Chinese equivalent of Google), stating he suspected that some critically ill patients, including one of his own family members in the Intensive Care Unit (ICU) in Jilin City Hospital had H1N1 infection.